The World Series of Poker attracted a field of 6,737 this summer. But Gus Hansen (pictured) was not among those to put $10,000 on the line in the pursuit of the $8 million first prize. 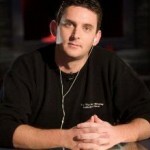 The Danish poker playing legend has apparently quit the game. Few believed he would stick to his word, a bombshell he dropped on the Good Morning Denmark TV show in the spring, but his non-appearance at the fabled World Series seems to have confirmed he has quit the game. For many years Hansen was a poster boy of the game and a folk-hero in his native country. Winner of a World Series bracelet and three World Poker Tour events, the 42-year-old has earned $10 million in live game winnings. And up until April 2011 he had also won $8 million playing online. But then the downward spiral began. Heavy loss followed heavy loss and when he was last sighted playing high-stakes online poker, his lifetime losses on the Full Tilt poker site amounted to almost $21 million. So how does someone so good become so bad? The reason is simple, it is the same reason as to why casinos online such as Sky Vegas no longer showcase poker alternatively encouraging online gamblers to play online slots and traditional casino games such as roulette and blackjack. Hansen has not suddenly become a bad player, the opposition have simply become substantially better. By definition only the strong will survive in poker and while any player can win in the short term, when you have played 1.5 million hands like the ‘Great Dane’ did, the simple fact is the strong survive and prosper and the weak are eaten. Forget the laws of averages, we are talking ‘rules of the jungle’ and that means online poker has become a very dangerous place, it is a tank full of piranha which will happily strip good players, not to mention recreational players, to the bone. There’s no fun in rarely winning or losing money quickly. Even if you surrender your hard earned by calling the outcome of a 90-minute football match incorrectly at least you should have been entertained. Likewise should you play casino games good old fashioned luck has an exceptional chance of smiling on you and invariably you will be playing whilst in profit at some stage or other. Online slots, which have become increasingly popular in recent years, also have more to offer. With RTP’s (Return to Player) in excess of 95%, meaning for every £/€100 wagered £/€95+ is repaid to the player, a casual player with £/€50 to wager is near guaranteed of a lot of entertainment if playing for 25p/c per-spin. And the best bit… Online slots with progressive jackpots offer the chance to win a life-changing sum of money. Look, most of us are never going to win millions especially when playing for small stakes, but 15 years since online poker landed on the world and as Gus Hansen can testify, games like Texas Hold’em and Omaha are likely to send you broke in double quick time. If you’re interested in betting on sports events such as the FA Cup and the Premier League, yet are also a keen player of casino games like roulette and poker, it makes a lot of sense if you can do all your online betting at the same site. That way, you can easily keep track of how much you’re spending and whether you’re making an overall profit or loss over time. There are plenty of different sites in operation now that will allow you access to a huge range of games and sports bets all in one place. Casino sites such as 32Red now offer sports books alongside their casino and bingo games, while bookie sites such as Paddy Power and bet 365 have a choice of games that can be played as well as their sports betting pages. Many of the sites offer a range of similar games and sports to back. Really, it’s down to the individual to check out what each site is offering and decide which one suits their interests best. If you’re a slots player, then check out the choice of more than 300 slots at 32red.com, but while you’re on the site take note of the sports book and the other types of games you can play there. Whichever site you’re considering joining, you can often try out some of the games for free by using a no-deposit bonus. This is a small amount of credit when you register your details on the site, and it allows you to try out some of the games for real. You never know, you might even end up adding some profit to that no-deposit bonus if you have luck on your side. If you like what you find when using the no-deposit bonus on a site, and decide to add some of your own money in, then you’ll qualify for an initial deposit bonus. This varies from site to site, but a casino welcome bonus such as Spin Palace is usually around 200% of the amount you put in. At 32red, it’s an even better deal, with the site adding £32 of credit for every £10 that you put in. And if sports betting is your main focus, there are plenty of free bets available when you first join up to a site. Whatever you first decide to join an online gambling site for, you’ll probably find that you end up experimenting and trying out other offerings on the site. For instance, you may be thinking about using a site’s sportsbook, but then discover that you really enjoy playing a game that you hadn’t ever tried before – such as blackjack or roulette. As there’s a lot of competition between all the different gambling operators online, you may be tempted to cash in on further bonuses with other sites – and there’s nothing to stop you having numerous betting and gaming accounts. However, it can be more difficult to manage your spending across a number of accounts, so generally it’s best to keep things simple and do all your gaming and betting in one place. All the sites will do their best to keep their customers loyal, so there are always new promotions to take advantage of – such as a redeposit bonus or special prize draws to fit with Christmas or big sporting events such as the World Cup. Just check out the promos page when you login and make sure you’re not missing out on any freebies! Have been following Confidential Racing lately. They have shown +56pts profit to Betfair SP for December and January. There’s some exciting soccer coming up this week with games from the knockout stage of the Champions League and some eye-catching Premier League fixtures to look forward to. This season has been one of the most captivating in Championship history, with the lead changing hands on an almost weekly basis as the top sides meet in crucial games. Almost anyone who gambles these days will put their bets on online – either at a bookmaking site or a betting exchange, where you can both place bets and lay them (accept other people’s). With online betting you have the flexibility to place bets wherever you are, whenever you want to, especially now that all the mobile betting apps are so easy to use. What about when you’re watching a lot of markets at once, though? The more you get into placing multiple bets, the more complicated it becomes to keep on top of them all, jumping between different pages in order to look at different markets. That’s where trading apps come in really handy; they make it possible for you to scan multiple markets at once, and place bets with one click. The Geeks toy trading app is just one example of many apps that have been developed for use with Betfair live data. As Betfair is the world’s largest betting exchange, you’ll find there are a number of different Betfair trading apps, each of which has its own pros and cons depending on which market you’re most interested in. For instance, Geeks Toy has been developed for use across all Betfair markets, but has a special in-play interface that has been designed for horse racing markets. For someone who’s just getting into bet trading rather than having the odd punt now and then, Geeks Toy is ideal as it allows users to practice in training mode. That means you can try out different betting systems, setting your own criteria and limits, without using real cash. Real Betfair data will show you how well you would have done had you actually placed real bets. You can switch to real money bets whenever you’re ready. The ladder interface means that you can instantly see movements on multiple markets at once and trading tools mean that you will be quicker at placing bets than other betting exchange users, giving you that edge you need when trading bets. With so much happening in the Premier League, Champions League and Euro 2016 qualifiers at the moment, now’s the perfect time to make use of the 14-day free trial on Geeks Toy to see if it helps improve your betting profits. Welcome to the site @Afluent . What do you like to bet on? If you want to use a football tipster service that have demonstrated consistent long term profits to us, we recommend the Football-Bets service. Q1 – Is The Service Here Any Good For Punters? Their results page pretty much answers the question above. The chart paints the easy to see picture of long term upward trend. Nitty gritty data is available in the associated spreadsheet. There’s some exciting Soccer coming up this week with a full round of fixtures from the Premier League and matches from the fifth round of the FA Cup to look forward to. Which team is going to beat Bayern Munich in the second half of the Bundesliga season? 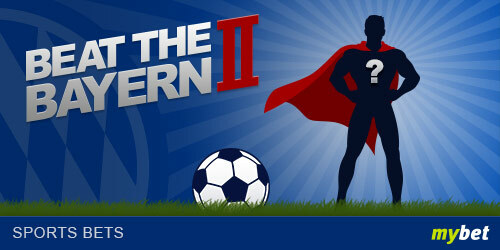 Start betting the Bayern opposition at mybet and take full advantage of their promotion ‘Beat the Bayern II’. 2. mybet will credit you a €5 Bonus for every goal Bayern concedes – whatever the result of the match! • Two sorts of bet types qualify: single and combination bets with a 1X2-selection of Bayern losing in the Bundesliga. • The minimim stake is €5. • €5 will be credited for every goal Bayern concedes in the match you bet them to lose. • The result of the Bayern match is irrelevant. • Live and system bets do not qualify for this promotion. • Only the first qualifying bet will count for the bonus. • The bonus amount will be credited to the player account within 72h after the bet has been placed. • Cash card players are not entitled to take part in this promotion. • The bonus has to be wagered once in sports betting at odds of 2.00 or higher before a transfer or withdrawal can be made. • mybet is entitled to change or end the promotion at any time and no legal action can be taken. February is upon us and that means one thing: the start of the Six Nations Championship is approaching. Let’s look forward to what should be a fascinating tournament. Who will claim the outright six nations market and triumph over their local rivals to lay down a marker ahead of the World Cup? Ireland are full of confidence after beating both Australia and South Africa in the autumn. The legendary Brian O’Driscoll, who retired after the 2014 Six Nations, has not been missed. In fact Joe Schmidt’s men have gone from strength to strength. Irish eyes will be focusing on their showdown with England at the Aviva Stadium on 1st March. If Ireland can emerge victorious, and then beat Wales in Cardiff the following weekend, the Grand Slam will surely be theirs. Led by Paul O’Connell, the Irish pack is formidable. With Jonathan Sexton pulling the strings at ten, and the likes of Tommy Bowe and Simon Zebo sniffing out try scoring opportunities, the Green Machine will be tough to beat. England have become the Six Nation’s nearly men since Stuart Lancaster took charge. Whether they can take the step from runners up to champions will depend on whether they keep their nerve. There is no doubting the talent at Lancaster’s disposal. England have a young, developing team with plenty of options. The flip side is that nobody knows what Lancaster’s best combinations are yet and their lengthy injury list doesn’t help. As with Ireland, England’s pack should keep them competitive in every fixture. However, the backs must take the opportunities that come their way. England have been full of endeavour but less than clinical in recent times. The development of George Ford will be interesting to watch. Wales are usually good to watch and have the talent to beat anyone on their day. They boast a wealth of superstars – any side in the world would love to have George North, Leigh Halfpenny, Alun Wyn Jones, Sam Warburton and Jamie Roberts. Unfortunately, as their long suffering fans know, the only consistent thing about Wales is their inconsistency. With home games against both England and Ireland, the fixture list has been kind to Warren Gatland’s troops. If they can sneak victories against the favourites, with a passionate home crowd cheering them on, the title could be theirs. Wales certainly have the talent, but do they have that winning mentality? Only time will tell. History tells us that anything is possible with France. Recent history, however, tells us not to expect much. The French have been disappointing on the whole in recent years, and defeat to Argentina in their last competitive fixture suggests that Philippe St-André still has a lot of work to do. With all the foreigners in the French domestic league, France are not producing enough good young players of their own. Having said that their team still looks strong on paper: Mathieu Bastareaud, Thierry Dusautoir and Wesley Fofana are all top players, while their squad certainly doesn’t lack experience in European club rugby. Perhaps it’s harsh to put Scotland in the same bracket as Italy: the Scots have made progress under the canny Vern Cotter and could cause an upset or two. Alex Dunbar is a highly rated young centre, Richie Gray and Sean Maitland have their admirers, while Blair Cowan is an interesting wildcard who has impressed for London Irish in the English Premiership. As for Italy they could be in for another uphill struggle. Last year’s wooden spoonists failed to win a single game, and recent defeats to Argentina and South Africa suggests difficult times ahead.